We greatly value our volunteers and are committed to providing a safe and enjoyable place for those children whose parents serve for multiple services. 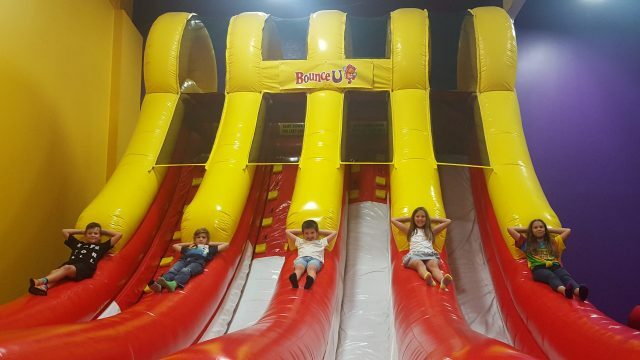 DoubleStuf is a program that takes place at BounceU next door for children of our volunteer staff. If your child has any special needs, please check here to fill out the information form. It’s important for you to know that our volunteers are background checked and trained to ensure your children have the best and safest experience possible. Also, if for any reason we need to get in touch with you during the worship experience, you will receive a text from our check-in system asking you to come to your child’s classroom. We would be thrilled to have your kids at m.Kids!